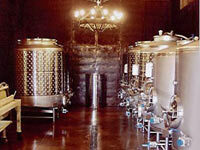 We are proud to offer visitors to Wolf Mountain Vineyards and Winery a true “Napa Style” wine tasting experience. The foyer to the Winery Level provides 1500 square feet of tasting space with majestic vineyard and mountain views. The center of this space focuses on a large four-sided stone and cedar bar with the ambiance of our adjacent cask room, wine cellar and veranda. Just off the Tasting Room is an open-air veranda and waterfall terrace… the perfect setting for you to enjoy a glass of wine, a gourmet pizza or a cheese plate after your tasting. 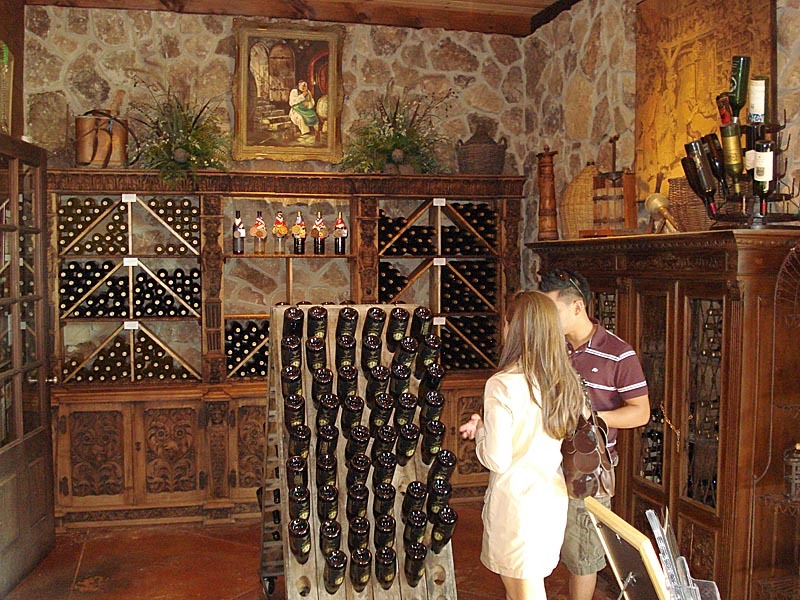 Next to the Tasting Room, you will find a small retail space and an antique Wine Library and Cellar with an array of 19th century French wine artifacts. Reservations Are Required – Email wmvgroups@gmail.com (preferred) or call 706-867-9862 Ext 2. 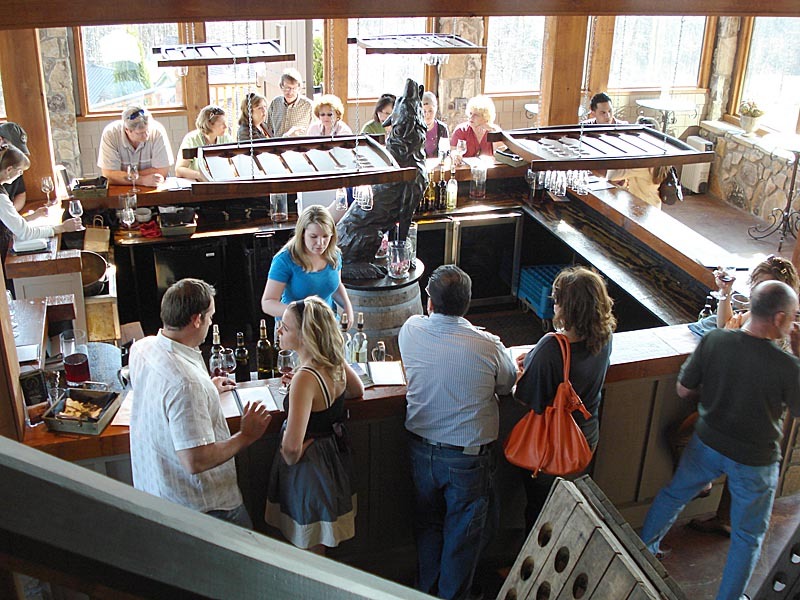 $25pp – includes 6 wines, a SEMI-private tasting area, and a dedicated tasting steward. Credit Card number is required to hold reservations. $25 Cancellation fee will be charged to the card on file. 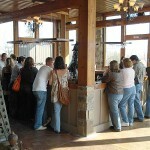 Consider making Wolf Mountain Vineyards your first stop to ensure a quality experience for your group. 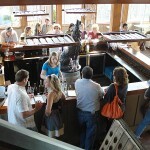 The Winemaker’s Tour and Tasting is offered at 12pm (Noon) on Saturdays and Sundays March through November. Groups less than 8 – NO Reservation Required. Groups of 8 or more – Reservation is required, please call 706-867-9862. 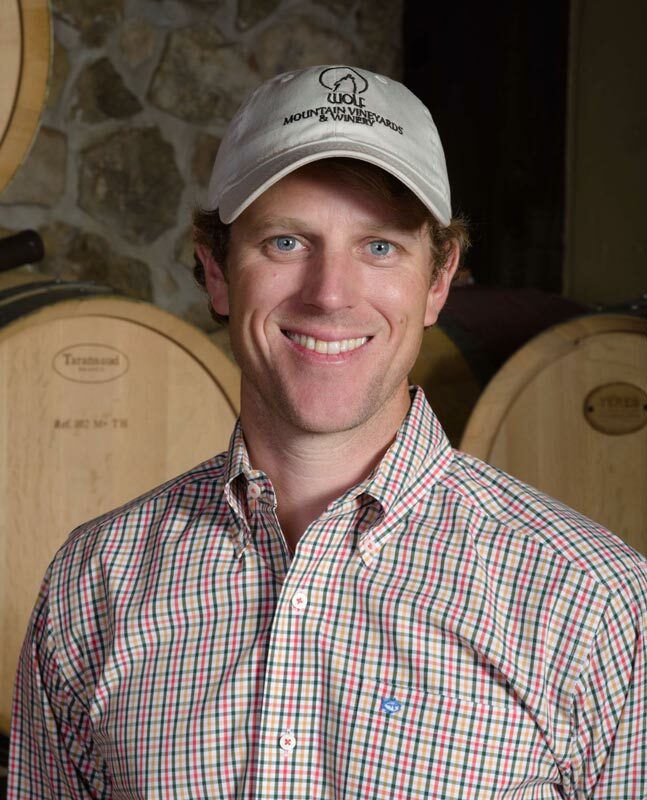 Join one of our Winemakers on an Educational Tour of our State of the Art Winery. Starting in our Estate Vineyards and ending in the Old World ambiance of our Cellar, we will discuss the winemaking process from Vine to Bottle, as we explore what makes Wolf Mountain’s Wines so special. 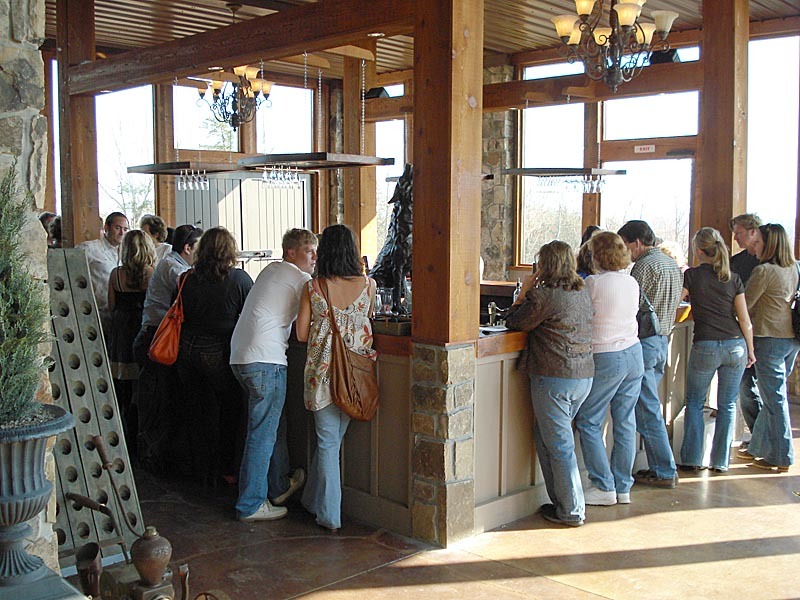 Educational Winemaker Tours are available on Saturdays and Sundays at 12:00pm Noon. This tour is subject to cancellation at any time due to wine production. The Winemaker’s Tour lasts an hour with an additional 30 minutes either before or after the tour allotted for the Reserve Tasting. *Please note our Winemaker’s Tour is not suitable for children due to the commercial winery environment.